Tennessee Williams’ haunting, expressionistic play comes to life in this stunning new production of one of the true classics of American Theater! 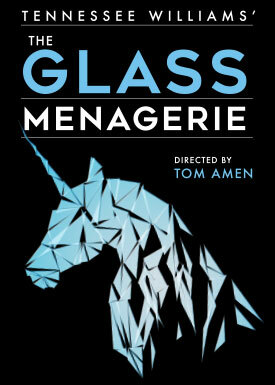 Set in St. Louis during the 1930s, The Glass Menagerie has deep, autobiographical roots buried in Williams’ early life, featuring characters based upon Williams himself, his domineering mother, and his emotionally fragile sister. Each finely etched character is, in one way or another, trapped in a world of illusion, frustration, isolation, and regret. The mother, Amanda, mourns the loss of the husband and father who has abandoned the family, while worrying over the future of her unwed daughter. The daughter, Laura, lives in an alternative reality; a delicate world of tiny glass animals and sentimental phonograph records. Tom, the son, longs to escape his dead-end job, the responsibility of supporting his mother and sister, and, ultimately, a past that he cannot forget. In short, the Wingfields are a dysfunctional family held together by nothing beyond an urgent need for change. Into this milieu comes a handsome, charismatic, Gentleman Caller; a former high school hero for whom the painfully shy Laura has always held a secret infatuation. Jim O’Connor is not only a breath of fresh-air in the claustrophobic Wingfield apartment, but a potential suitor for Laura who may also prove the salvation of the entire family. But will this emissary from the outside-world be enough to forestall disaster; to prevent a conclusion that will shatter the Wingfield family forever? 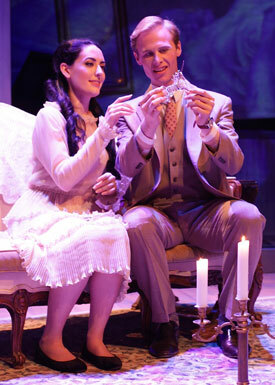 Note: This production contains adult language and situations and is intended for mature audiences.